I was speaking to my dad the other day and he shared that he’d shown my grandmother her old village on Google Street View. He said that they’d spent about an hour ‘walking’ around the area where she was born as she told him stories of who lived where and what they did. She really enjoyed it, and being fairly confined to the house now, it gave her a sense of freedom. I’m really keen to sit down with her and record her memories whilst looking at Google Street View to keep an oral history. 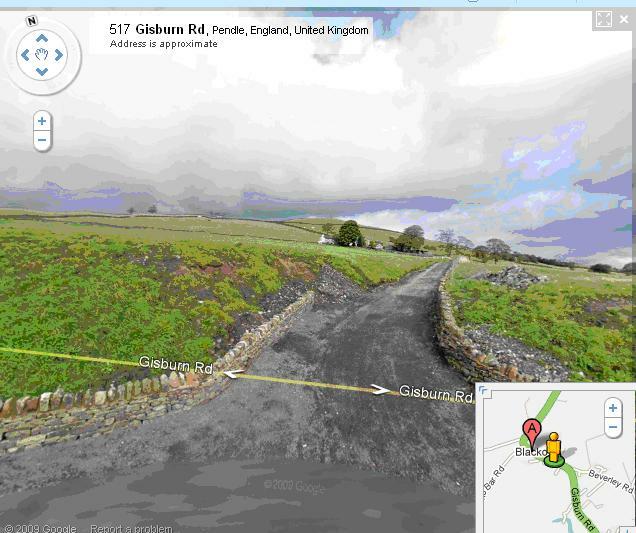 Do you know of anyone who has used Google Street View for reminiscence therapy? It strikes me as a very valuable way of entertaining and supporting older people to use technology in new ways. Another argument for getting better wifi access in residential care homes methinks. This is one of those simple but simply brilliant ideas. We have housebound elderly relatives and I’m going to make sure we have similar chats with them. I was amazed when my Dad told me! My grandma was gushing about it, she so enjoyed it and she misses Lancashire so much (living in Essex now). What a great free way of boosting morale amongst people stuck inside! Glad you’re thinking of trying it out! What a superb idea – it is one step on from the Reminiscence boxes that Libraries have developed! I work in a Community Mental Health Team for Older People and I have been using the Internet as a reminiscence tool with people with dementia. I use Google street to look at places they used to live and use Google Images and Youtube to look up things that are personal to them. The people obviously really enjoy the experience and for patients on the Ward is has been noted that they are far more settled and in a good mood afer a session. I use a multimedia projector so it is easier for those with impaired vision to view the images. I just happen to be meeting with out consultant psychaitrist this afternoon to discuss researching the project with research funds. I hope the idea gains a greater recognition and becomes more widely used. After all the internet, as we know, is a great mine of information, and some of it is even helpful! Thanks for your comment – it’s so nice to hear that it’s working successfully where you work. Let’s hope this really takes off! Technology can really change people’s lives. Have you seen this 99 year old lady with an iPad?! Let me know if you have success doing research into this area! Oh I know all about the witches of Pendle! I was fascinated by them as a child! I work with older people and was running a coffee morning with a group in sheltered accommodation. Someone asked me about my iPhone because he had never used one before. After running through the basics, we got to maps and eventually Streetview. We found his old house and all of a sudden it hit both of us – it was incredibly emotional. He married and lost his wife there.